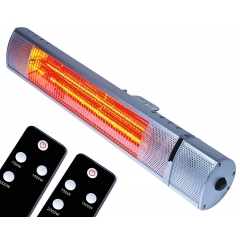 Don’t let the cold stop you from enjoying your garden, beer garden, or pub smoking area – pick up an outdoor patio heater and keep warm outdoors all year round. 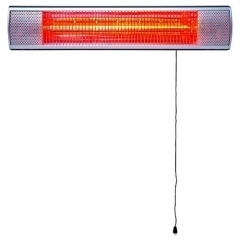 Our patio heaters use golden tube technology to give off radiant heat rays, warming you up instantly when you turn the heater on. Whether you just want a heater to keep you cosy on your patio, or if you want an outdoor heater for your pub’s beer garden, our range of outdoor heaters has something for you. 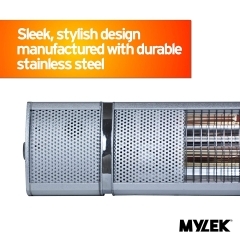 MYLEK’s patio heaters are compact yet powerful, making them suitable for warming both small and larger outdoor areas. 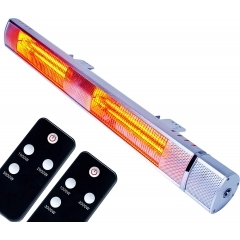 Give yourself the simplicity of a pull cord patio heater or choose the convenience of a remote control model. 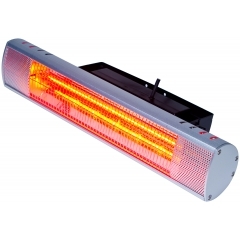 Designed in the UK to meet your highest standards, all of our outdoor heaters are IP65 rated, making them dustproof and water resistant. Leave them fitted outside in all weathers with complete peace of mind thanks to their tough metal housing.